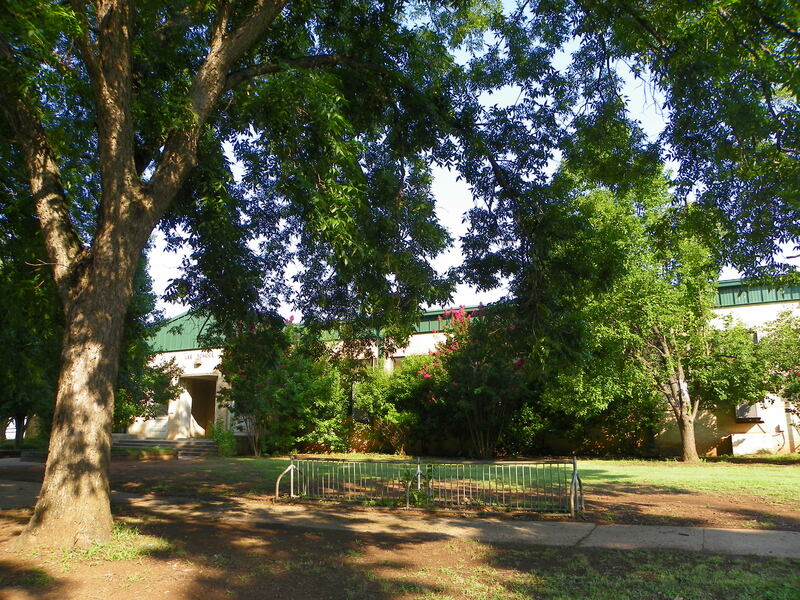 A multiple class, single story structure, Lee School is L-shaped and extends from the outside corner of the “L” 107 feet east and 184 feet north. Each wing is 70 feet wide. 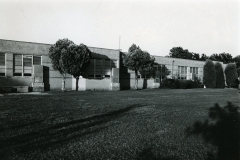 The school is constructed of buff brick laid with a running bond and the walls are capped with cut limestone blocks. The roof is flat with parapets. Elongated, aluminum cased windows, placed by three, rest on cut limestone sills. Four friezes of darker brick than the walls run at the top and bottom of the windows as well as “through” the windows. The front doors are recessed behind a facade, also decorated with a frieze, that steps out from the exterior wall. Jambs on the entryway and on window openings on either side are decorative pilasters that support a pre-formed concrete porch. Art deco influence is apparent. 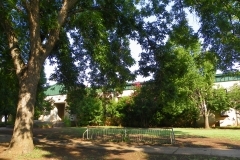 Each wing of the original building has been extended to provide additional classrooms, but the extensions maintain completely the architectural style of the original building. These additions, therefore, do not destroy the stylistic integrity of the school. WPA school buildings designed by Albert S. Ross generally reflected a mission revival influence. In that the Lee School alludes to an deco style, it is architecturally unique from the rest of Ross’s WPA work. That allusion, moreover, makes the structure different from most WPA-built schools, especially rural schools where the services of a professional architect were rare. 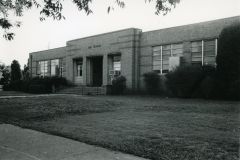 Lee and other of Ross’s schools in Pauls Valley constitute a group of buildings within the community significant for their type, style, materials and workmanship. They also reflect that economic conditions within the community were still depressed by 1940, and they symbolize a program that sought to alleviate the destitution of unemployed laborers by giving them substantive work that provided some financial security and self-respect. 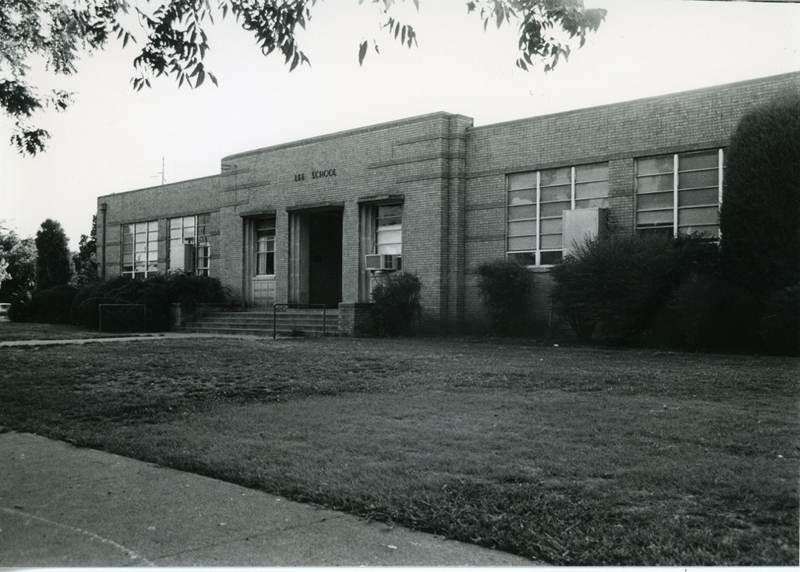 Of course Lee School impacted the educational life of Pauls Valley, reinforcing a growing emphasis upon quality and modern primary education. VERBAL BOUNDARY DESCRIPTION: Lots 3, 4, 5 and 6, Block 106, Pauls Valley original plat.